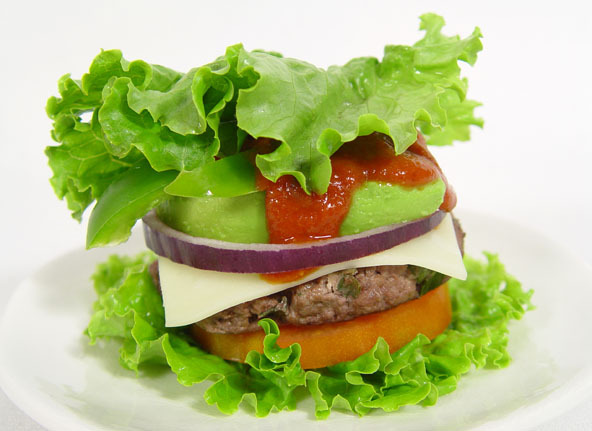 A Flavorful Tex-Mex Burger with lettuce, tomato, cheese, red onion, avocado, ketchup and bell pepper. 1 tsp Mexican seasoning or chili powder. In a mixing bowl, mix all the ingredients together. Best to use your hands to blend it all together. Place onto a skillet over medium heat. Cook for 5-6 minutes on both sides or longer until it is done.